Our handcrafted Creekside Poly Classic Chaise Lounge Chair is perfect for sunbathing or lounging with a book by the pool. This chair is made with recycled poly, a material notorious for it's durability, sustainability and low maintenance. 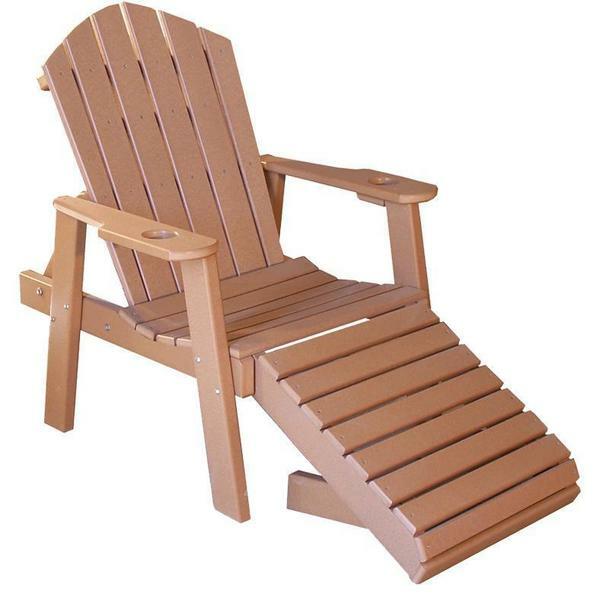 This outdoor chaise lounge chair is proudly made in the United States by authentic Amish craftsmen. Total Length w/ Back Down: 78"
Arm Height from Ground: 24 1/2"
The polywood furniture is well-made and built to last a lifetime. Its heavy construction will withstand all types of weather while its comfortable and classic style can suit many types of outdoor furniture needs.